How to order: Find the items you wish to order in the listing below. Enter the quantity needed of the part you require in the box named "Order Quantity", and then click on the button marked "Add to Order." This part will be added to the shopping cart on the right side of your screen. Continue to shop for all the parts you need. When you have completed adding all the items needed, click on the words "Ring Me Out" in the shopping cart. You will be taken to several screens that will take your name, address, and credit card information, and a screen to verify your order. Lastly, click on the button that says "Submit Order". You should receive an email receipt/confirmation of your transaction from North Coast Music within an hour. Your order will be shipped the next business day. 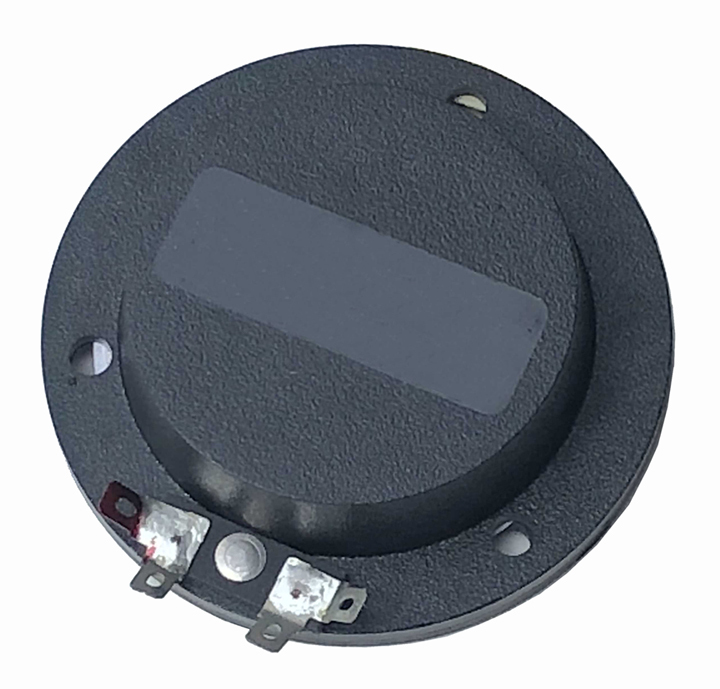 D-2375 -Titanium domed 16 ohm replacement driver diaphragm for the large horn used in many Sonic models, including the T153, T212FR, T215FR and some models of the 183. Self aligning, easily installed. This part is not returnable or refundable and has no warranty. 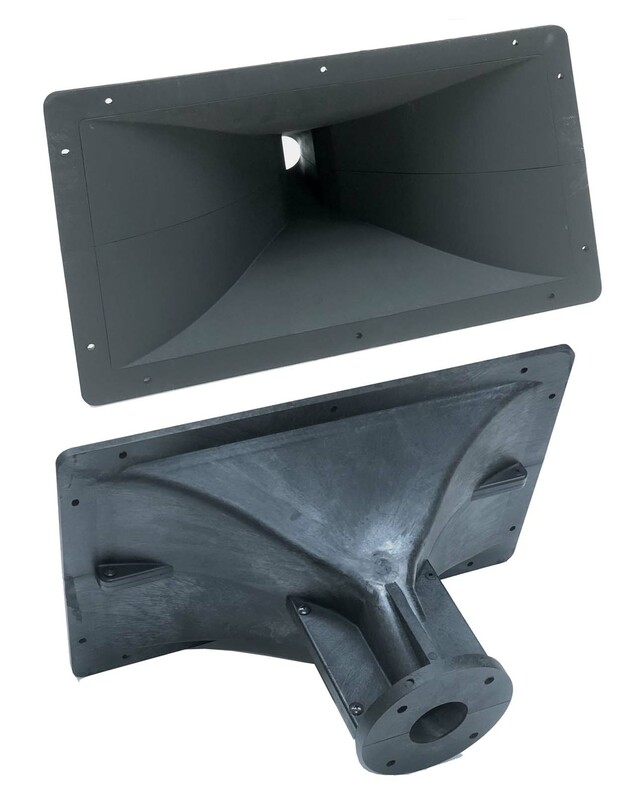 D-S410 - Phenolic domed replacement HF diaphragm for Sonic cabinets having a 4" x 4" tweeter, a 4" x 10" metal horn, or a 4" x 6" plastic horn. This part is not returnable or refundable and has no warranty. 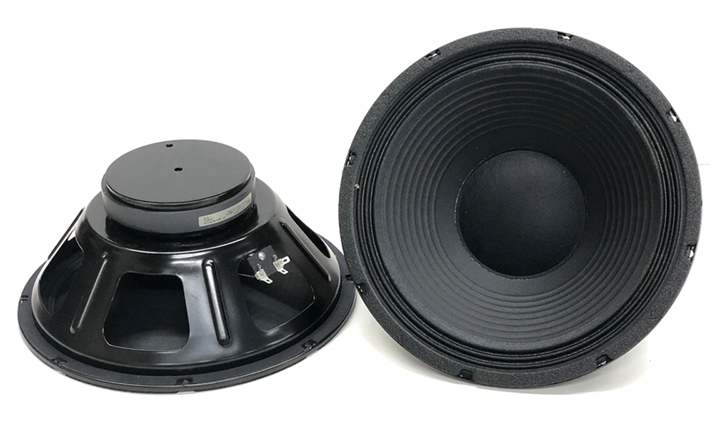 E12 - Manufactured for Sonic by Eminence Speaker. 12" stamped frame speaker with a 38 ounce magnet and a 2" voice coil.. Rated at 125 watts RMS, 250 watts peak. This part is not returnable or refundable. Limited 30 day warranty subject to our inspection for damage caused by excessive power. FUSE - replacement fuse for the Hornguard HF protection circuitry offered in some Sonic enclosures. You need two, three or four per enclosure, depending on the model. 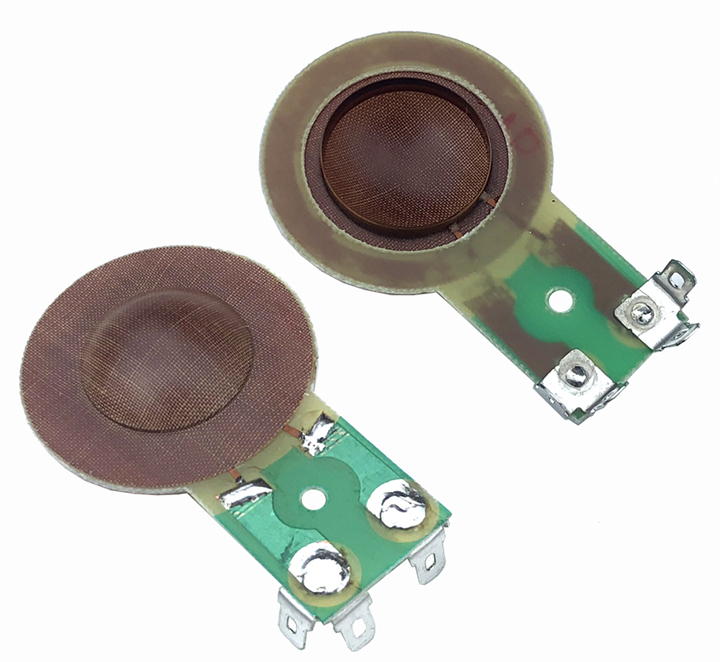 These easily removable fuses are located on the crossover circuit board. If these fuses are blown, the horn or tweeter will not work. This part is not returnable or refundable. 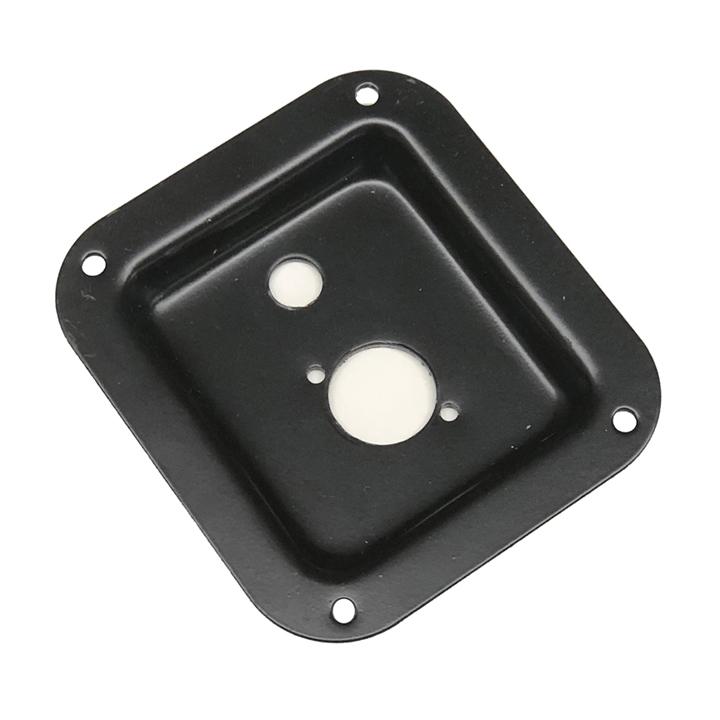 Sonic Logo - Genuine factory replacement for the large injection molded plastic logo installed on Sonic enclosures. ~6 1/16" wide, ~1 5/8" tall, three mounting pins on back of logo. This part is not returnable or refundable. 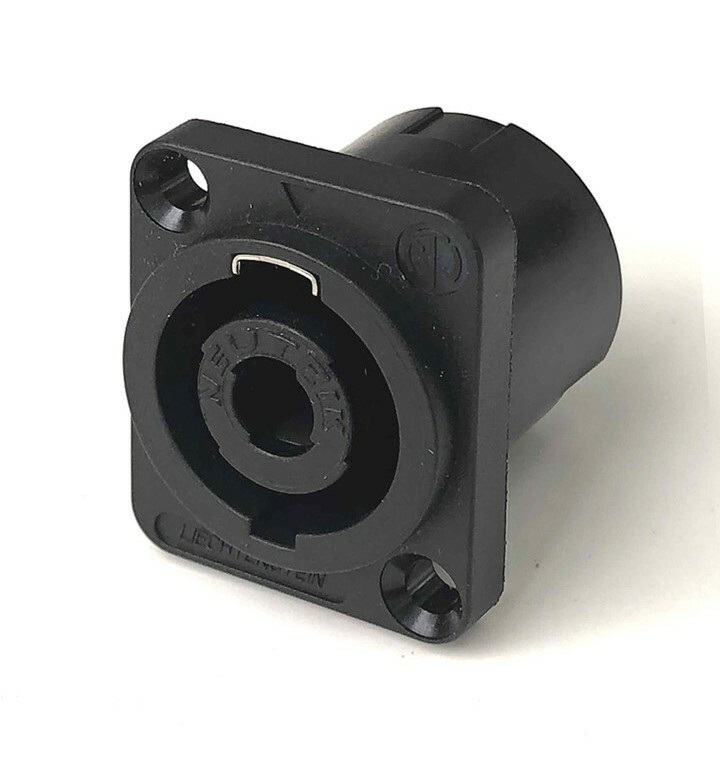 4350 Horn Bell for 1" Screw-On Drivers - Replacement horn lens, (less HF driver), as used on many Sonic speaker enclosures, including the T153, T212FR, T215FR and some versions of the 183. 4352 Horn Bell for 2" Exit Bolt-On Compression Drivers - Replacement horn lens, (less HF driver), as used on many Sonic speaker enclosures, including the T153-2, T212FR-2, T215FR-2 and some versions of the 183. CD714 Horn Bell for 1" Exit Screw-On Compression Drivers - Replacement horn lens (less HF driver), as used on many Sonic speaker enclosures, including the T15, 3020HT, M15 and the later version of the DJX215. 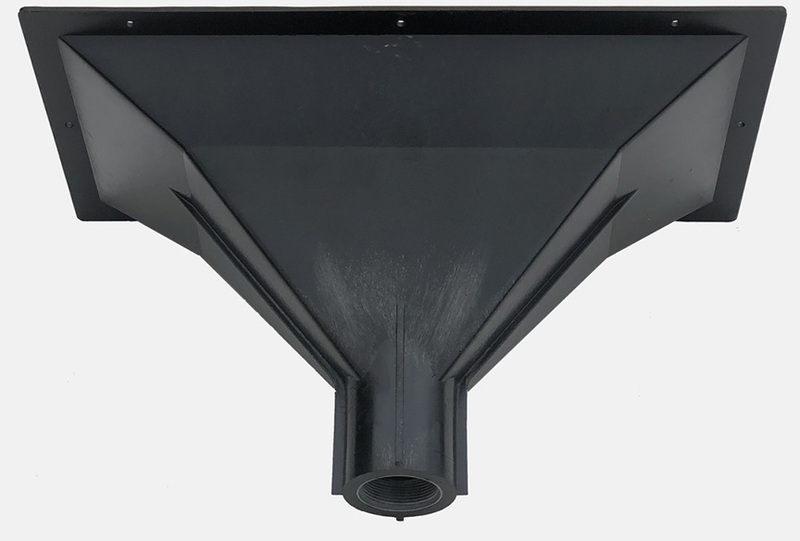 H411 High Frequency Compression Horn with Driver - Complete replacement horn used on many Sonic speaker enclosures, such including the SM12, SM15, early D12 and D15 wedge monitors, LTX12, LTX12M, LTX15 and LTX15M. Rated by the manufacturer at 150 watts RMS with a 2000 hz 18db/oct crossiver. 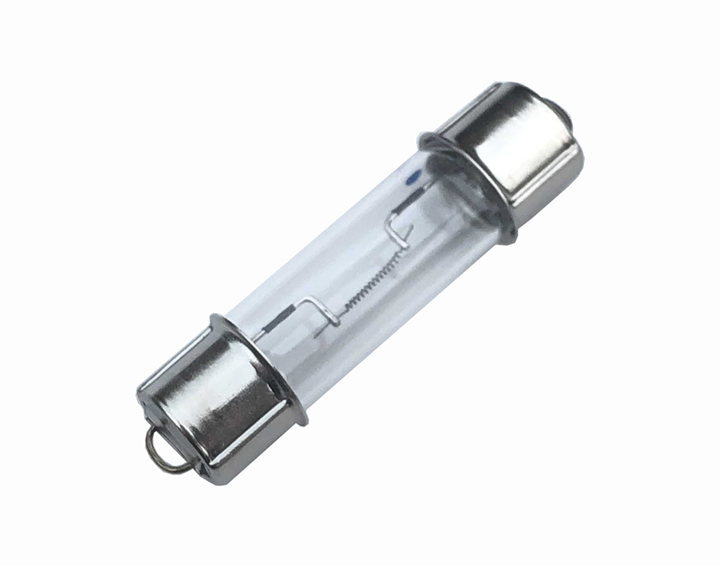 Metal horn lens, 10 ounce magnet, 1" diameter voice coil, Crossover network not included. 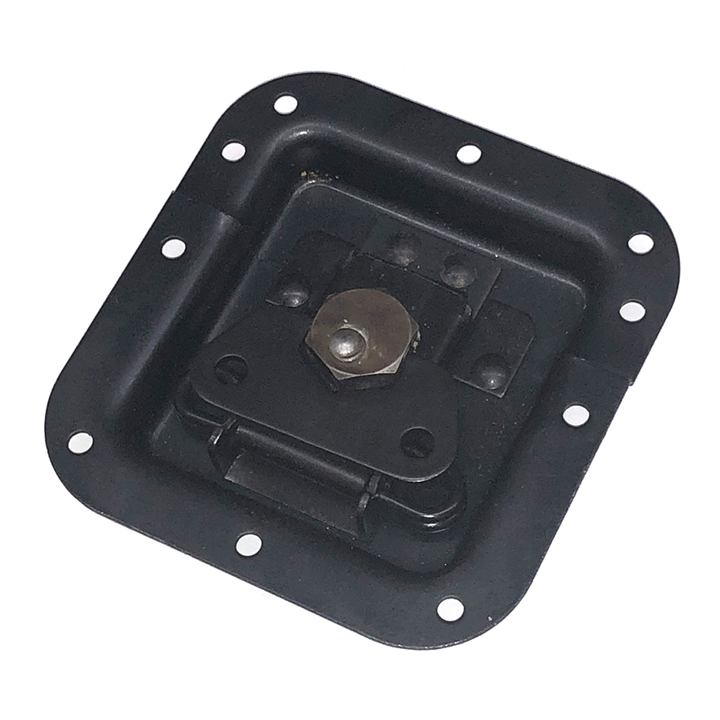 NEUTRIK NL4MP Four Conductor Speakon Panel Mount Connector - Four conductor Speakon connector with a rectangular mounting plate. NEUTRIK NL4MPR Four Conductor Speakon Panel Mount Connector - Four conductor Speakon connector with a round mounting plate. 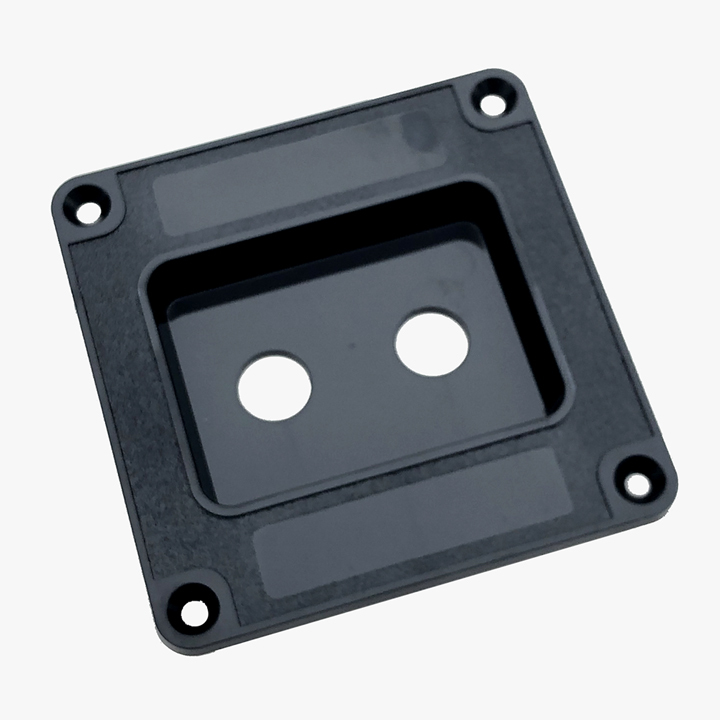 Recessed Steel Input Plate for Dual Speakon Connectors - Includes mounting holes to accept two Neutrik NL4MP Speakon connectors. Black powder coated finish over a stamped steel dish. 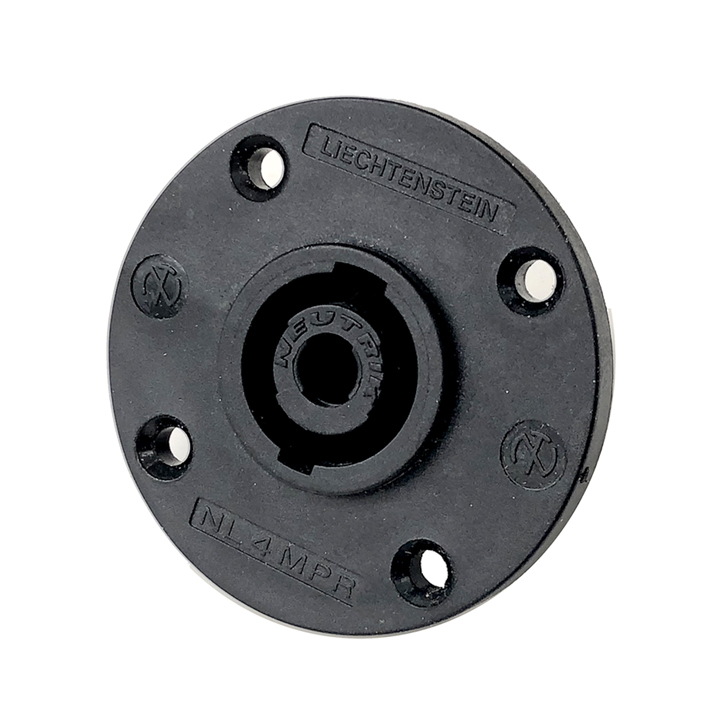 Recessed Steel Input Plate for One NL4MP Speakon Jack and One 1/4" Phone Jack - Black powder coated finish over a stamped steel dish. 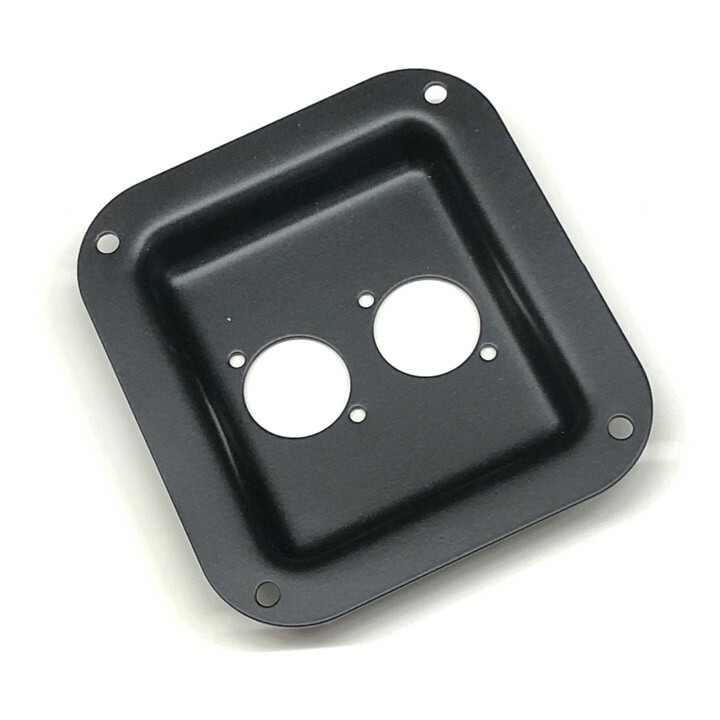 PLASTIC JACK PLATE - Plastic plate to mount two 1/4" jacks. 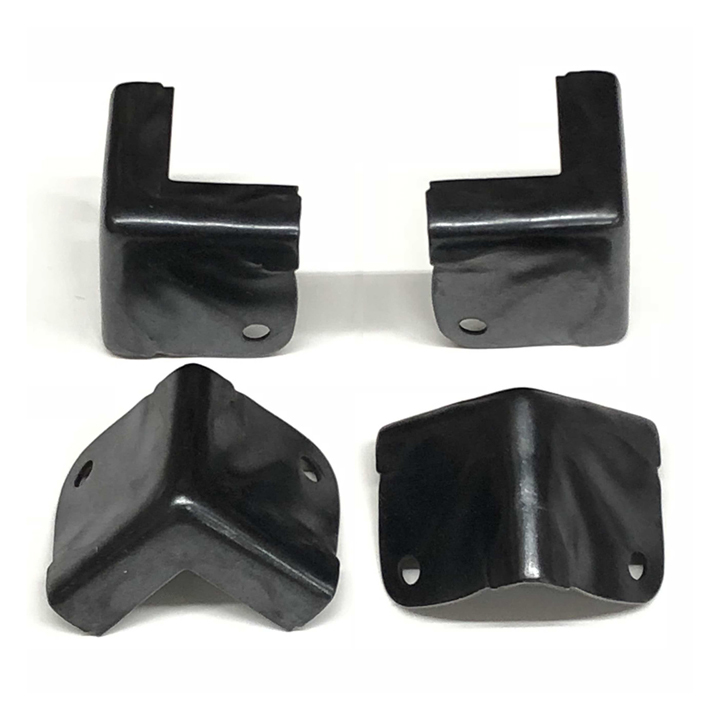 Used on later LTX, D12, D15, TM12 and TM15 enclosures. 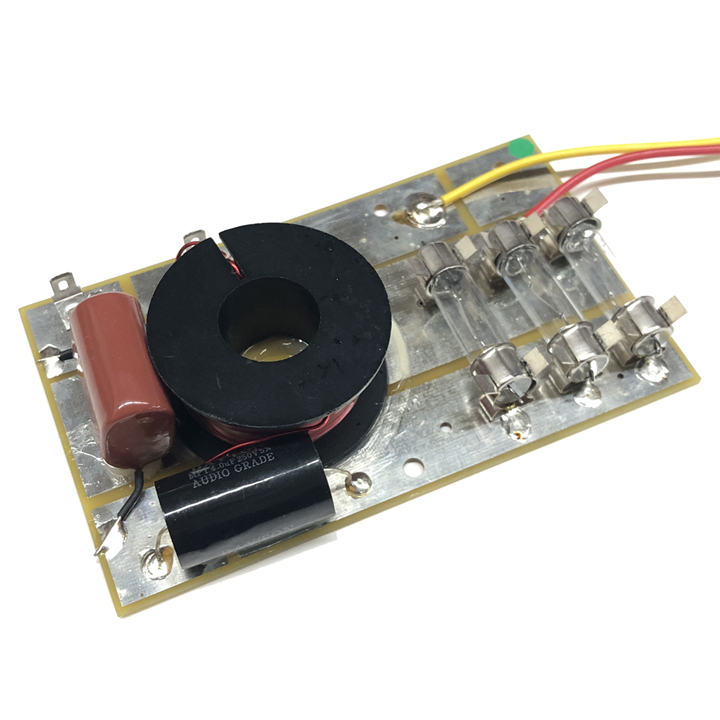 S2497 CROSS OVER BOARD - 1.8khz 18db/oct high pass cross over with two bulb Horn Guard protection circuit. Installed in the following Sonic enclosures: T12, M12, TM-15, TM-12, DJX215, DJX115, later production T15, D12 and D15 monitors that are equipped with horn level controls. 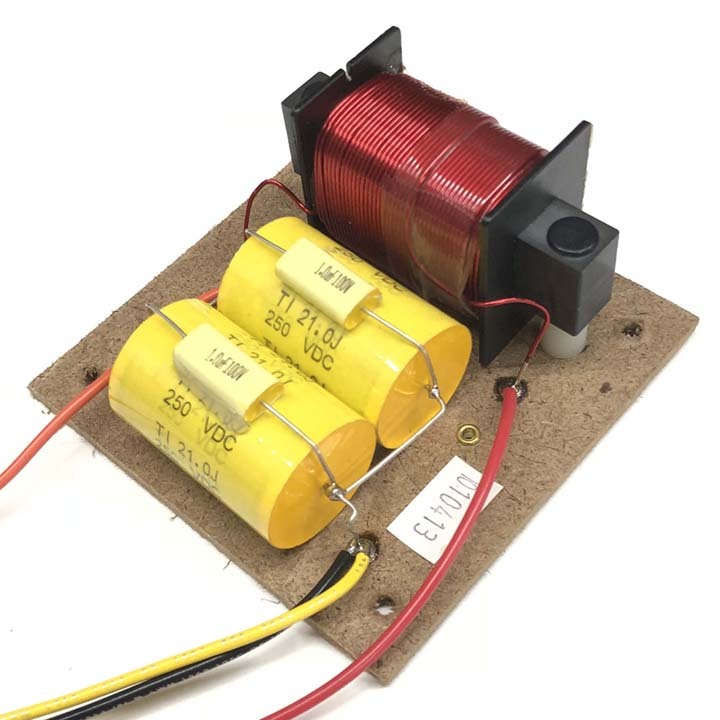 S2450 CROSS OVER BOARD - 1.5khz 18db/oct 16 ohm high pass cross over with three bulb Horn Guard protection circuit. 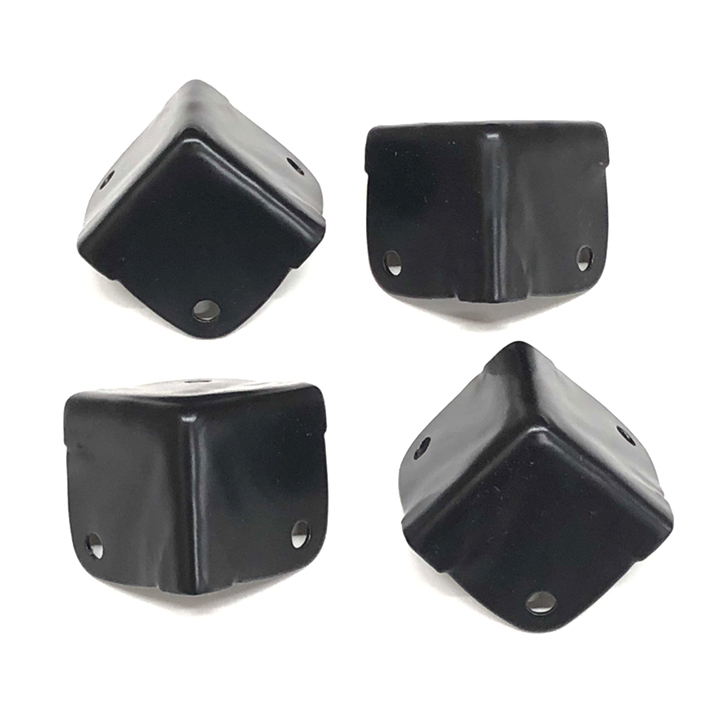 Installed in the following Sonic enclosures: T15, T153, M15, T212FR and T215FR. 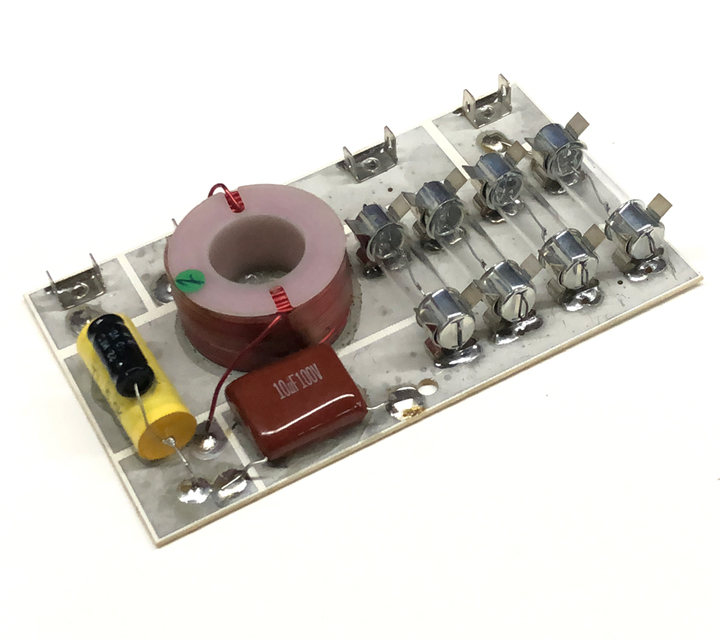 S2766 CROSS OVER BOARD - 1khz 18db/oct high pass cross over with four bulb Horn Guard protection circuit. 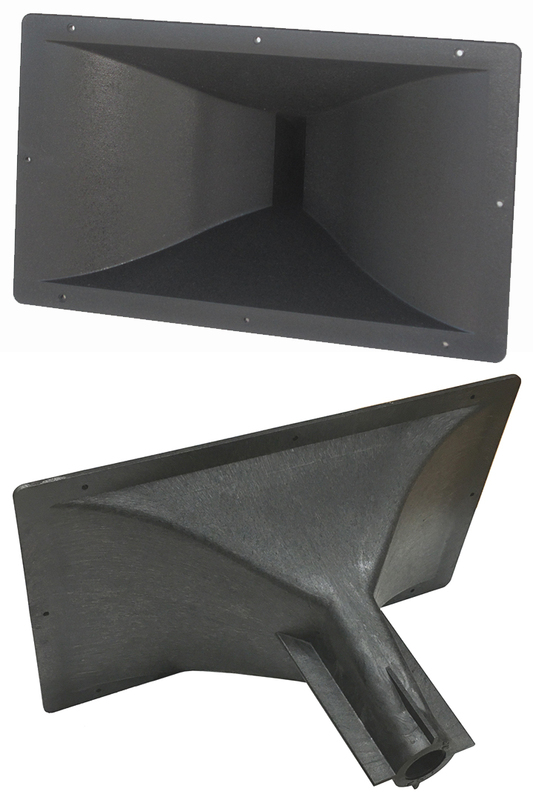 Installed in the following Sonic enclosures with Two-inch exit horn drivers: T153-2 Inch, T212FR-2 Inch and T215FR-2 Inch. 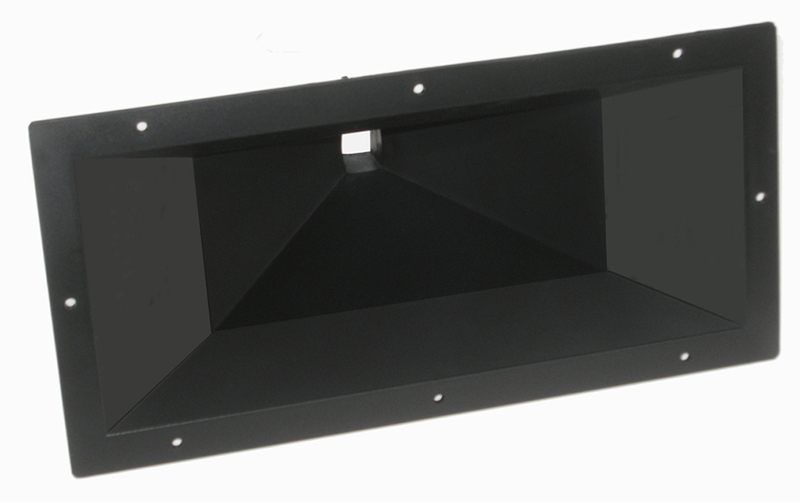 SUB-X8 CROSS OVER BOARD - 850hz 12db/oct low pass cross over for high powered subwoofer enclosures. Rated for 500 watts RMS @ 8 ohms. Installed in the Sonic 1x18" Metro Sub enclosure. 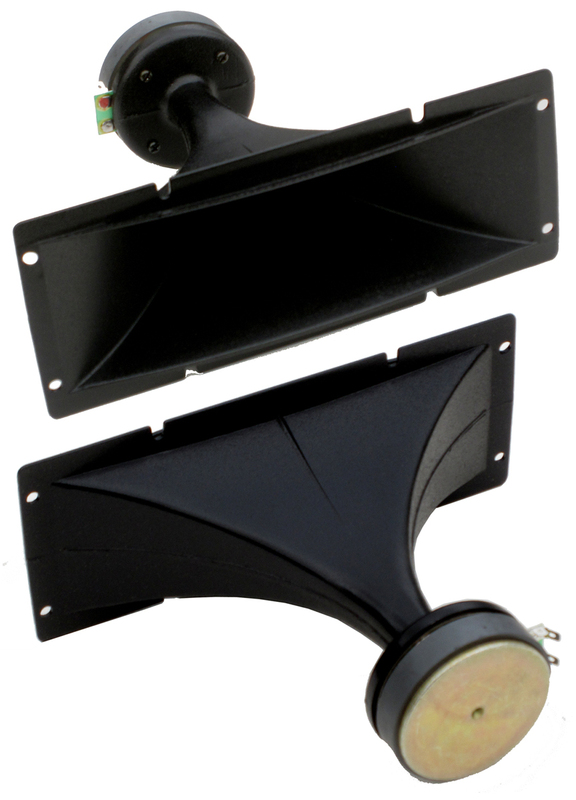 SUB-X4 CROSS OVER BOARD - 850hz 12db/oct low pass cross over for high powered subwoofer enclosures. Rated for 500 watts RMS @ 4 ohms. Installed in Sonic T215FR enclosures. HANDLE - Steel reccesed handle, black powder coat finish, spring loaded grip retracts into handle base. Mounting screws not included. ~6 ¼ x ~4¼. US Shipping/Handiing: $2.99 USD each. 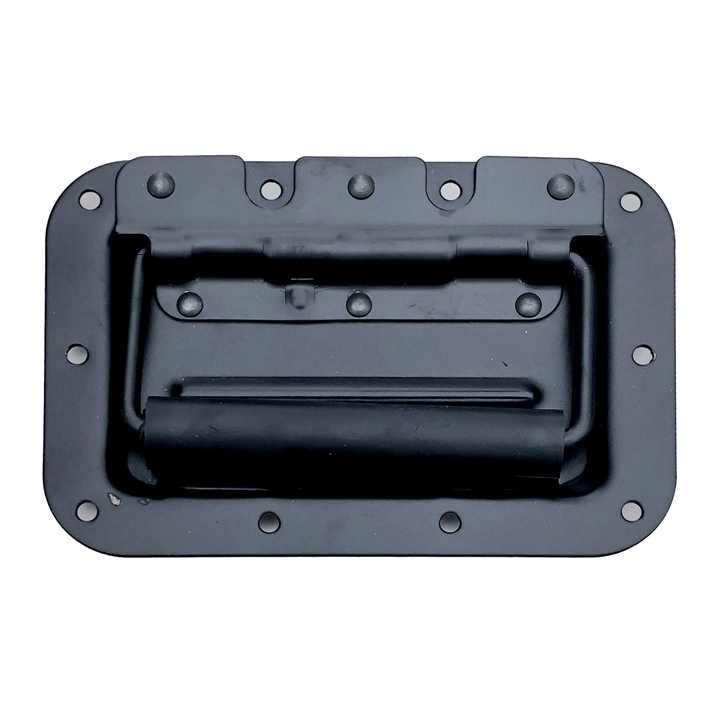 Twist Latch - Recessed mounting latch as used on Sonic RR Series racks. Black oxide finish. Does not include mounting screws. US Shipping/Handling: $2.99 USD each. Two Screw Square Edge Rack Corners - Set of Four - Steel corners as installed on Sonic rack and DJ cases. Black finish. Does not include mounting screws. Three Screw Square Edge Rack Corners - Set of Four - Steel corners as installed on Sonic rack and DJ cases. Black finish. Does not include mounting screws. 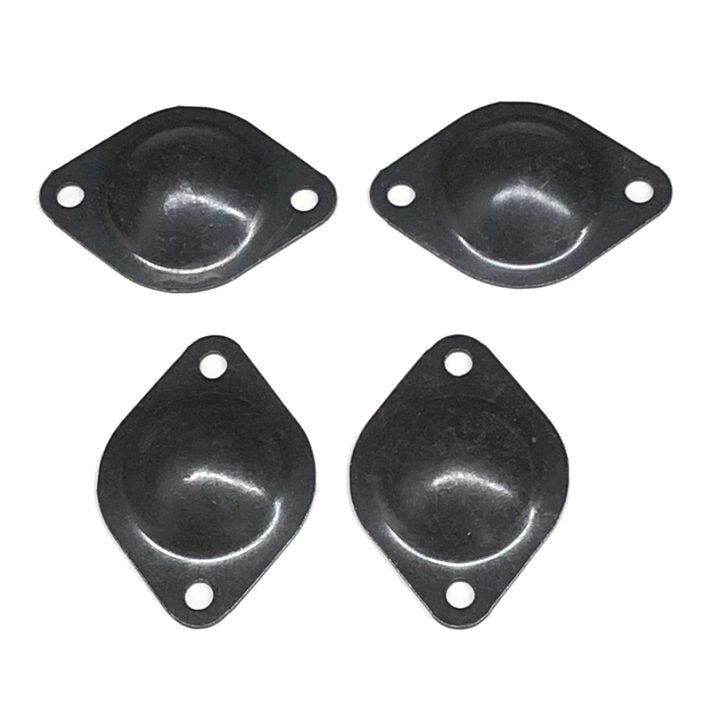 Steel Glides - Set of Four - Steel glides as installed on many Sonic products. Black oxide finish. Does not include mounting screws.